An early morning murder is under investigation by Stockton Police. At approximately 1:30 a.m on Sunday, October 15, a 20-year old man, and some friends were leaving a party in the 8600 block of Leadon Drive. The suspect approached the victim and shot him. 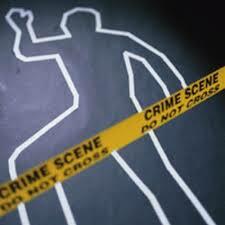 The victim was later located and medical staff pronounced the victim deceased at the scene. Detectives responded and took over the investigation. At this time there is no releasable suspect information or a motive. The Stockton Police Department is encouraging citizens to call if they have information pertaining to this investigation. Callers are asked to call the Stockton Police Department at (209) 937-8377, Investigations at (209) 937-8323, or Crime Stoppers at (209) 946-0600. Callers can remain anonymous. No Comment to " Man Shot, Killed as He Leaves Party in Stockton "